1) In the middle light pillar may be seen, fixed in a moment of the Holy Fire appearance. Scanned from: © Gubanov Vladimir. 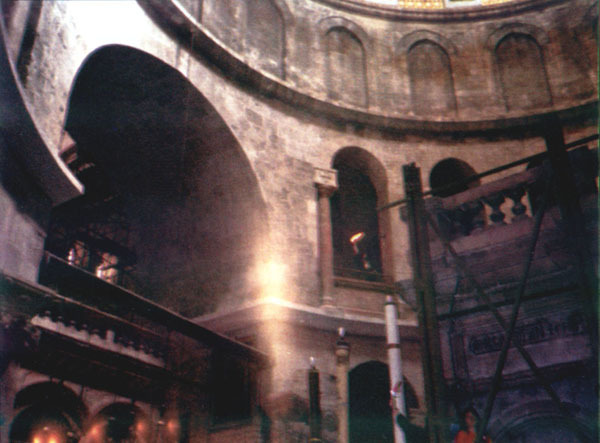 Holy Fire: miracles on Holy Sepulchre. Moscow, "Lestvica", ed. 4, 2000, p. 280. Photo made by Blinkov Victor, inking - by author of the site.